Cleveland Whiskey recently won a series of gold medals in industry competitions and was named Whiskey Innovator of the Year at the 2016 Berlin International Spirits Competition. 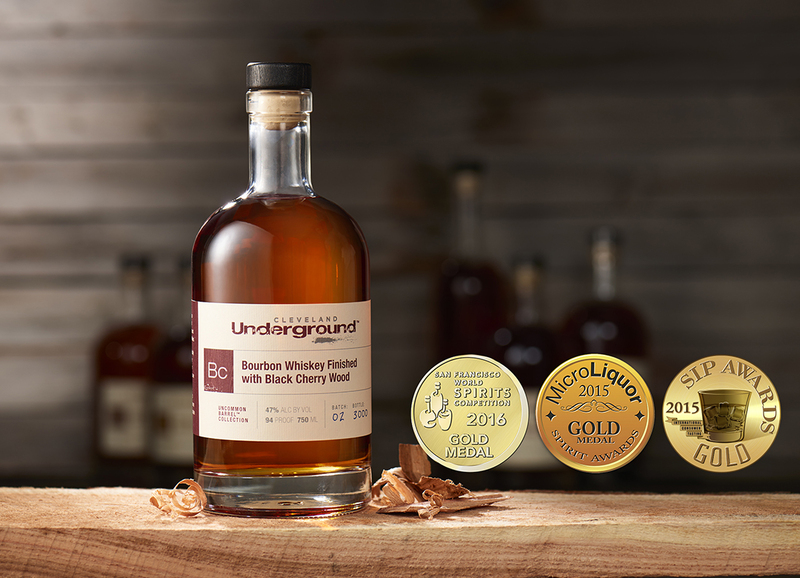 The company’s new line of “Cleveland Underground Select” bourbons recently won Gold Medals at the San Francisco and Berlin International Spirits competitions as well as a Double Gold and Gold at the recent Wine and Spirits Wholesalers convention in Las Vegas. This high-profile recognition comes on the heels of some other recent attention for the company’s products, which use an innovative accelerated aging process. Last year, Forbes.com included Cleveland Whiskey’s Christmas Bourbon® as a top-ten holiday gift, and Global Trade Magazine spotlighted the company’s exporting efforts to Europe and Asia. In March of 2015, President Obama brought a crush of media and public attention to the six-year-old company when he toured Cleveland Whiskey’s distillery while visiting the manufacturing innovation center where it’s headquartered. All this attention is providing momentum for Cleveland Whiskey’s aggressive domestic and international expansion. With distribution in 12 states, last year the company began selling its products in Germany, France, Belgium and Switzerland, and more recently it began selling spirits in Japan. CEO Tom Lix is unquestionably upbeat about the global opportunities for his company. “In the west, there’s been a return to the culture of cocktails. And with millions of people newly joining the middle class every year in India, China and South America, the global demand for brown spirits is at an all-time high.” With Cleveland Whiskey’s patented pressure-aging technology, which shortens the time to market, the company is uniquely positioned to meet that exploding demand through just-in-time production.